Listen to the Audio Messages Below for a refreshing view of Scripture. In 1Peter 4:7what did Peter mean when he proclaimed, “But the end of all things is near. Therefore be of sound mind, self-controlled, and sober in prayer.“? Download the charts & follow along in your Bible. Discard your preconceived ideas & let the Scripture speak for itself through the Holy Spirit’s illumination. If you’d like to know more about the views espoused by this material, click on “Truth for Christians” to the right. Each of the mp3’s were extracted from cassettes and therefore the quality is not as clear as we would like it to be. However, in my humble opinion, the content is well worth it. These files are not copyrighted & were created for your benefit – you are free to pass them along but the author requests that they not be altered in any way. The author is not interested in financial remuneration – he simply wants the fullness of Christ’s good news to be proclaimed. If you would like to download the mp3s, first click on the play button and once the mp3 begins playing, then right click and “save audio as”. 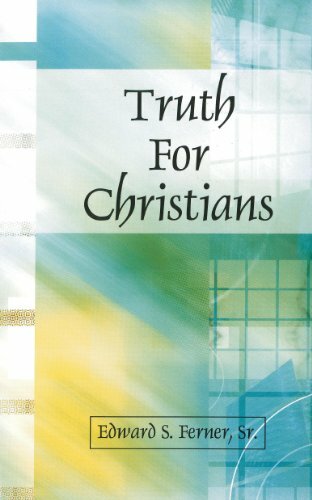 The founder’s website is “ChristEternalChristianChurch.com” & to date there are 74 very informative “Learning Activities” provided.